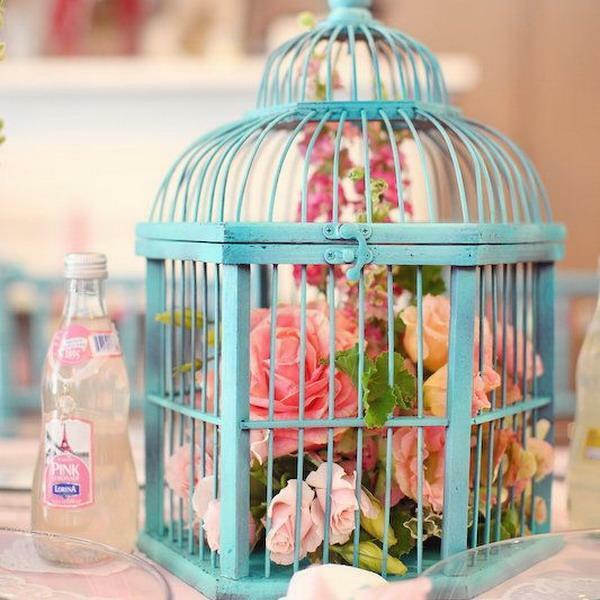 Birdcages make perfect table decorations. 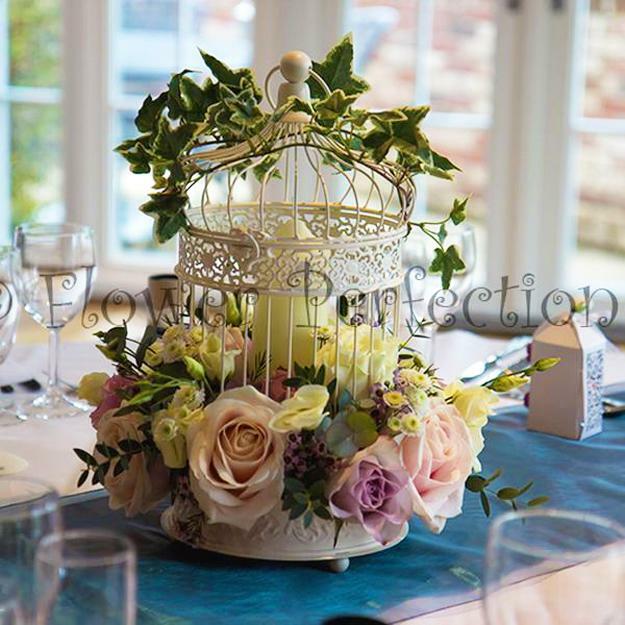 Decorated with beautiful flowers or houseplants birdcage designs add a romantic vibe to any table setting. 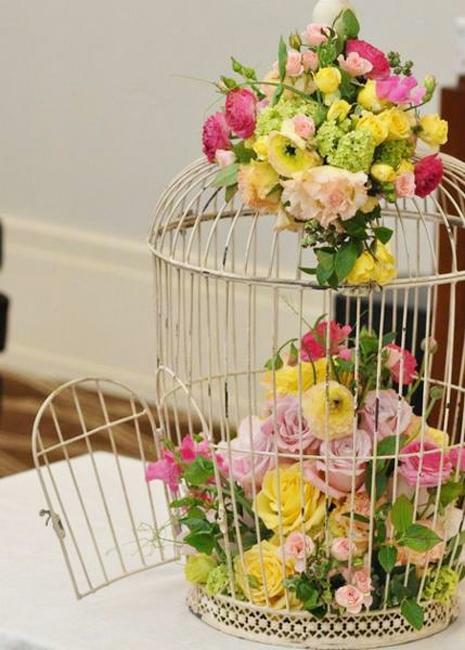 Perfect for wedding and holiday events, birdcage table centerpieces look colorful, vibrant, festive, and stylish. 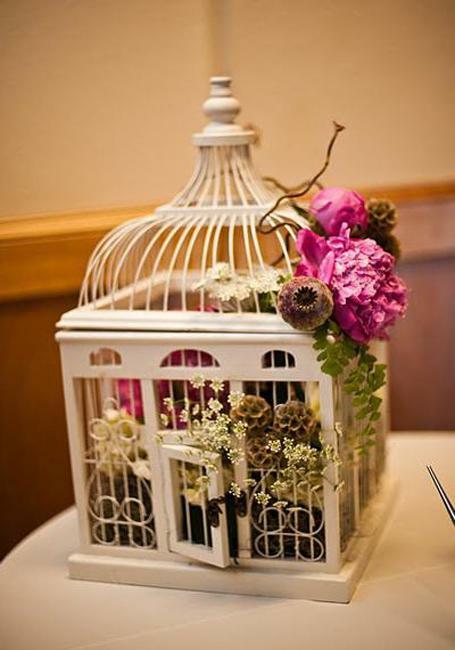 There are many attractive painting ideas for decorating a birdcage. 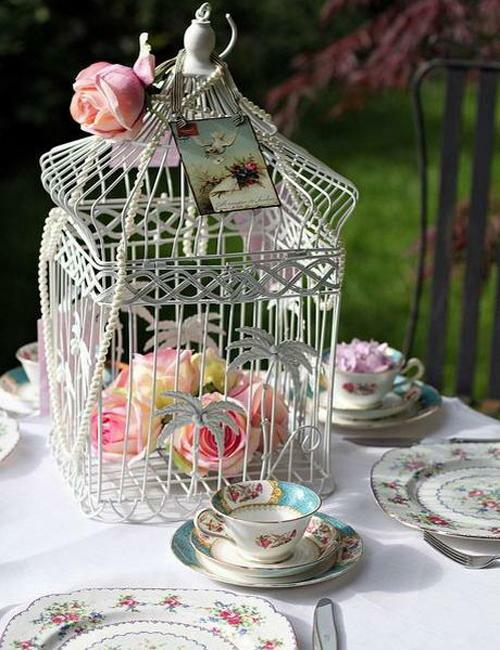 You can paint it bright colors and add some decoration patterns. 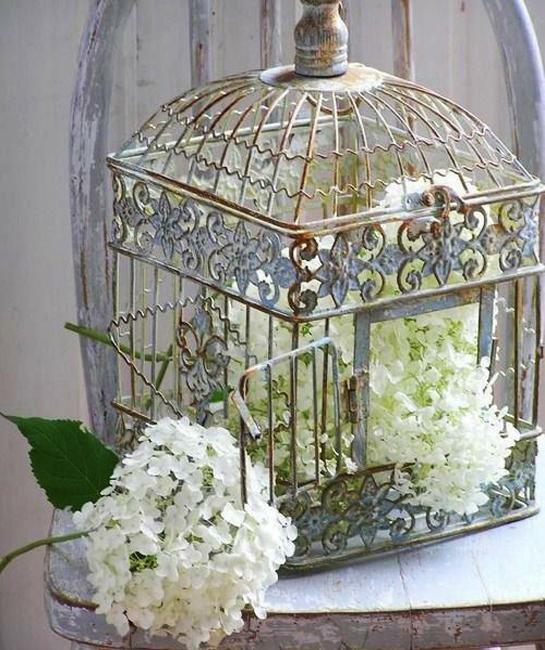 If you like the elegant classic design, birdcage in white, cream, ivory, yellowish white colors create the ideal table centerpieces with small live houseplants or colorful flower arrangements. 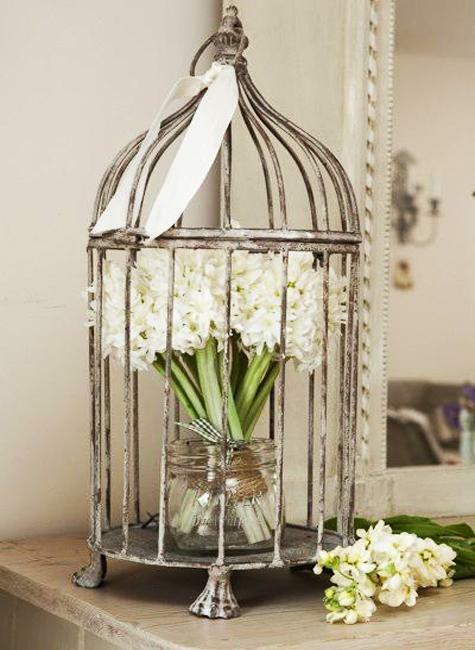 Birdcage decorations are versatile, suitable for every room. 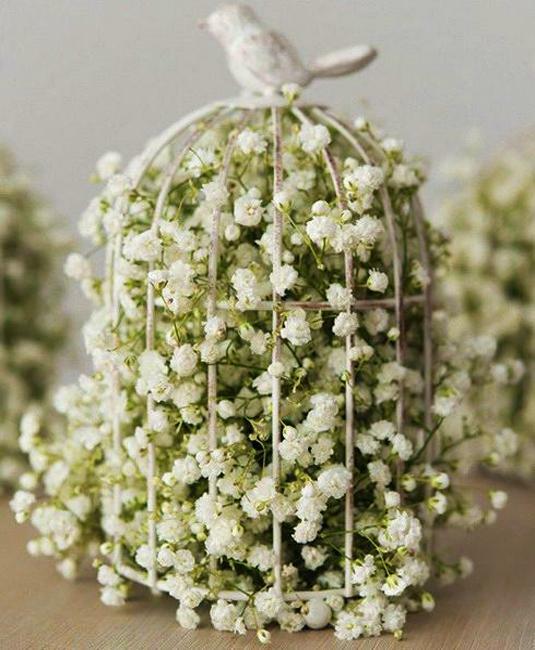 You can decorate a shelf or a dining table with a birdcage arrangement. 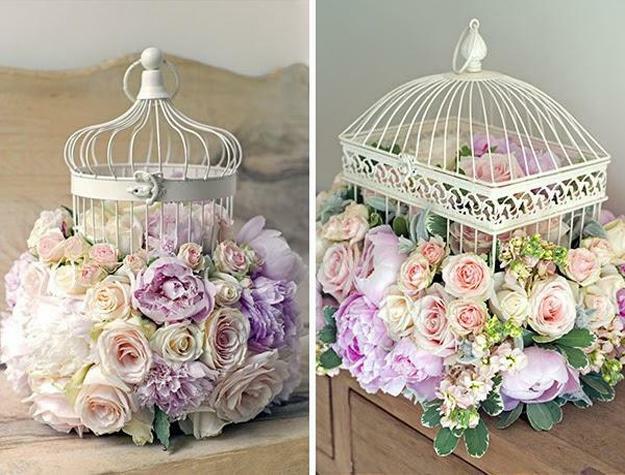 Beautiful flowers in birdcages look gorgeous on coffee tables and window sills. 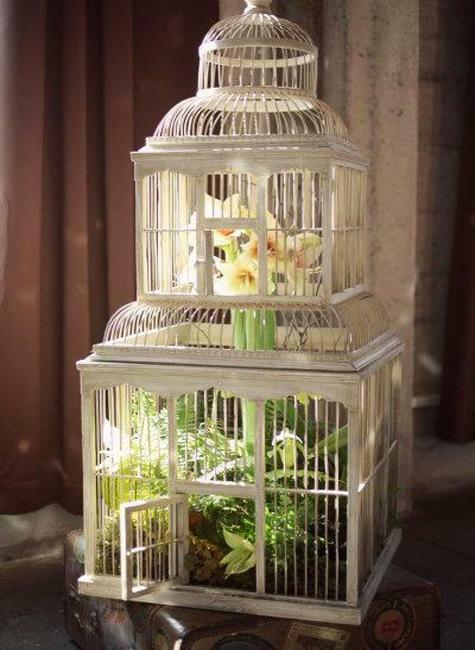 Any large or small furniture piece provides a surface for decorating with a birdcage arrangement. 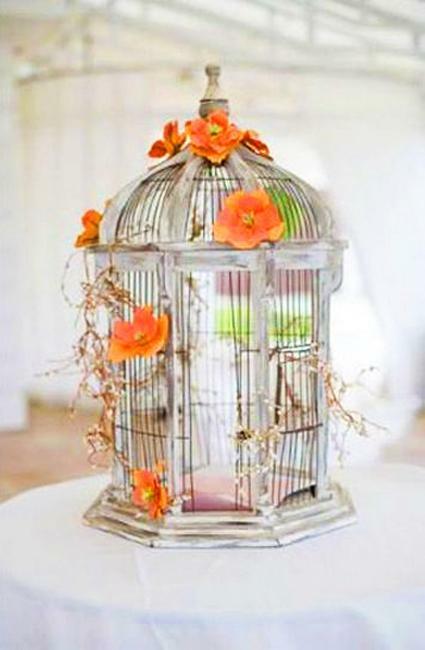 Birdcages are stylish and romantic decorative accessories. 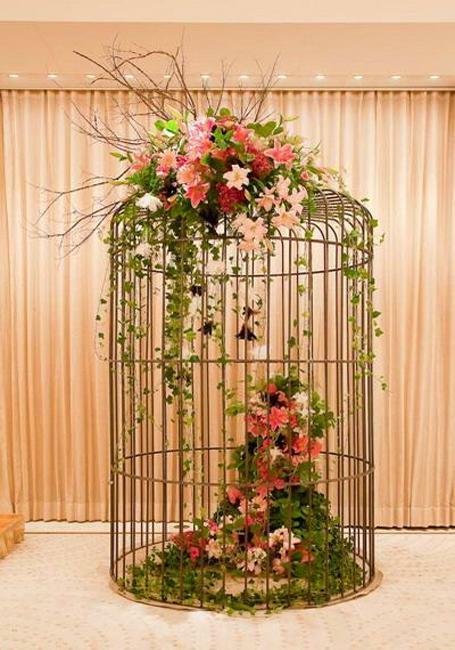 Adorned with fresh flowers or green leaves birdcage decorations transform the way your room looks and feels, blending the natural beauty with bright colors and originality of creative designs. 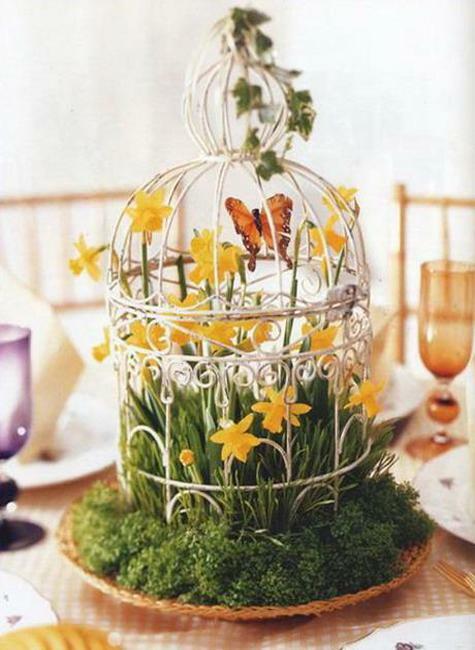 Decorating with flowers, plants, winter branches, handmade ornaments, and images of birds can create fabulous table centerpieces for each season. 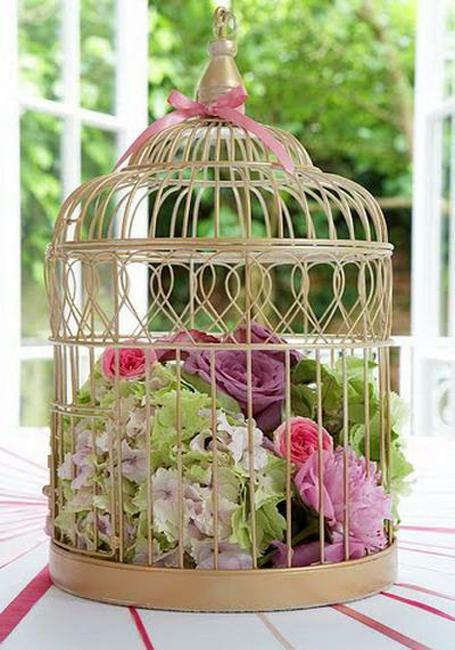 Birdcage flower arrangements are ideal for room decorating, but also these decorations look attractive and natural in the garden. 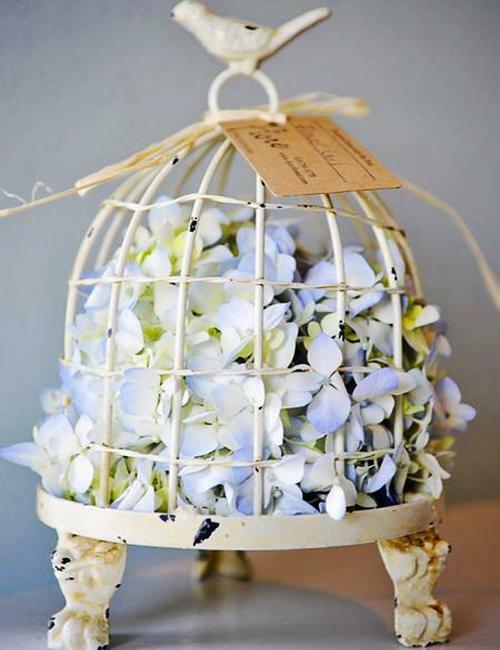 Hanging on branches or placed on a tree stump a birdcage is an excellent accent that reminds of birds. 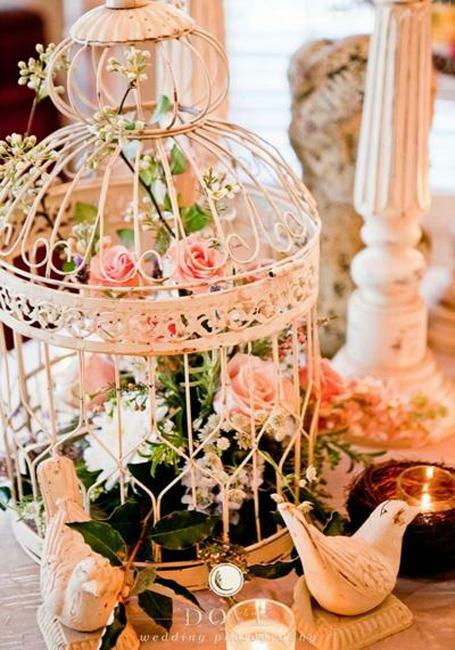 Table centerpieces designed around a birdcage are fascinating and elegant. 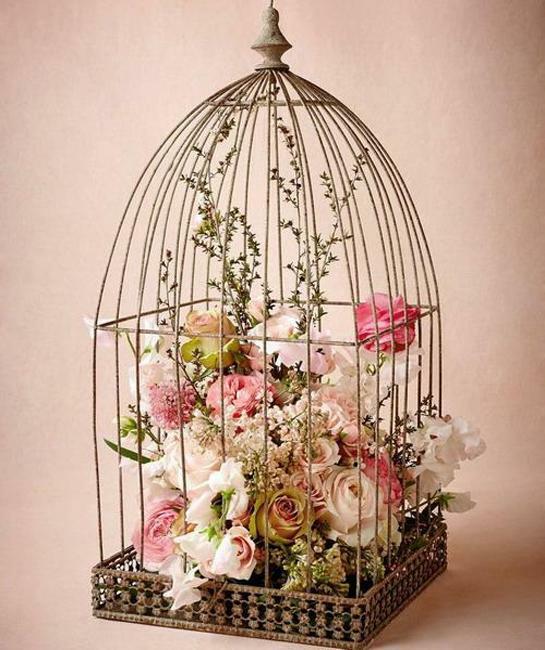 Birdcage floral arrangements are a creative alternative to traditional flower bouquets. 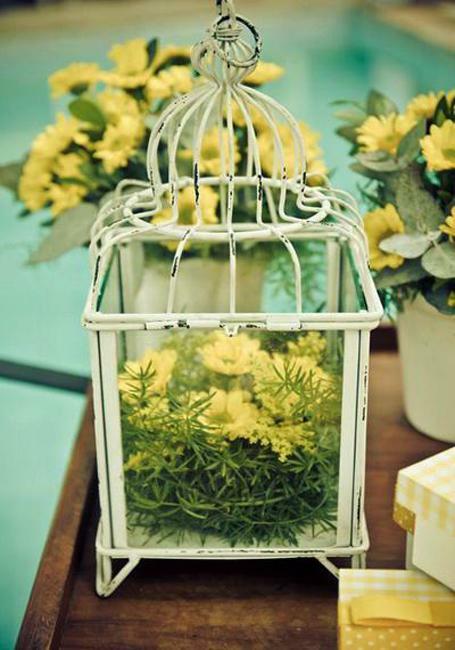 These elegant home decorations set a romantic mood at the dinner tables and enhance the color palette of the settings. 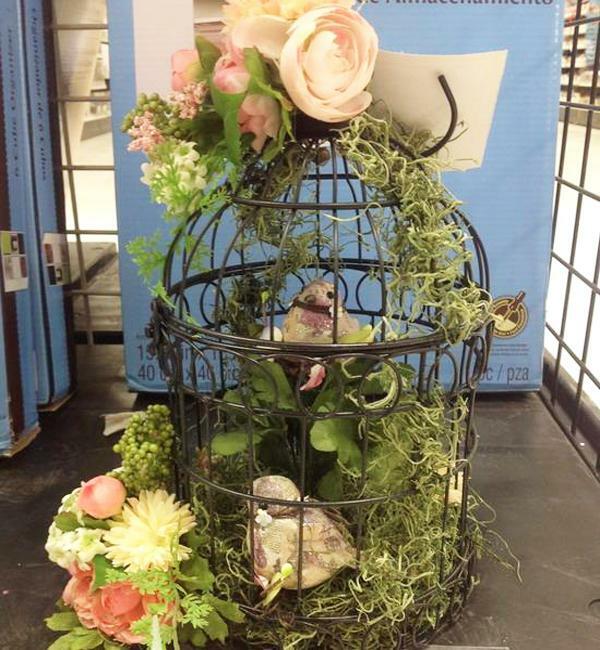 Birdcage floral arrangements make unique gifts also. 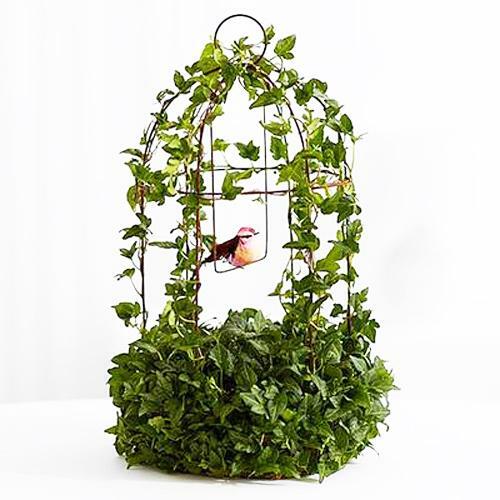 Fresh flowers, green leaf bouquets, ornaments, like birds or butterflies decorations, create eye-catching designs that everyone appreciates and enjoys. 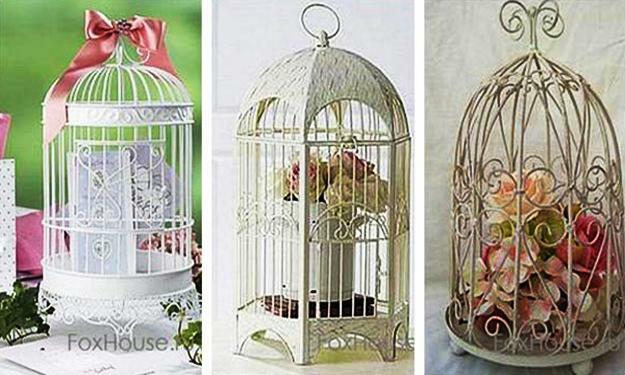 Check out the decorating ideas for birdcages and see which one you like the best. 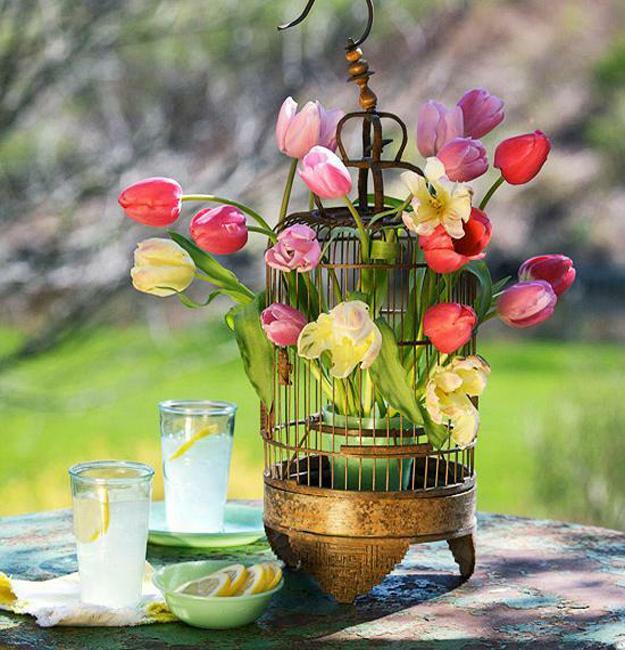 Get inspired, think of original decorative accents, and make the decorations for every room in your house, bringing the beautiful memories of summer gardens into your home.